Colchester General Hospital has a very busy MRI suite with a steady and continuous flow of patients waiting for treatment. The main reception area of the unit is likely to be a vulnerable risk area in the event of a fire. The hospital contacted fire technical consultants Fire Prevention Products (Essex and Suffolk) to provide a flexible fire barrier solution, which would allow the free flow of staff to the administration area and acting as a vigorous fire deterrent. 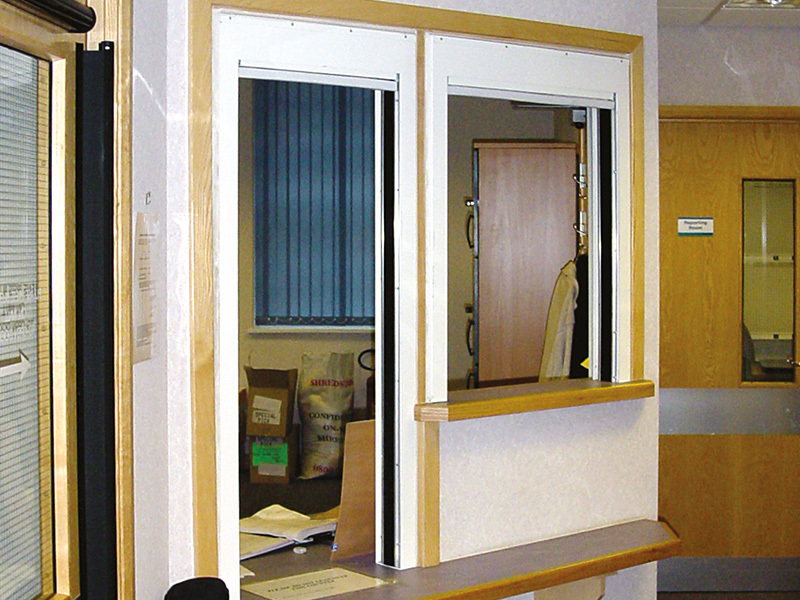 Fire Prevention Products (Essex and Suffolk) recommended the use of Envirograf® Product 90 Fire and Smoke Manual Drop Curtain, which was used on both the doorway and reception window area to offer a robust defence against the spread of flame. The Northbourne Centre is a popular daily rendezvous in the seaside town of Bournemouth. The centre is a lively meeting venue with its own catering facilities. 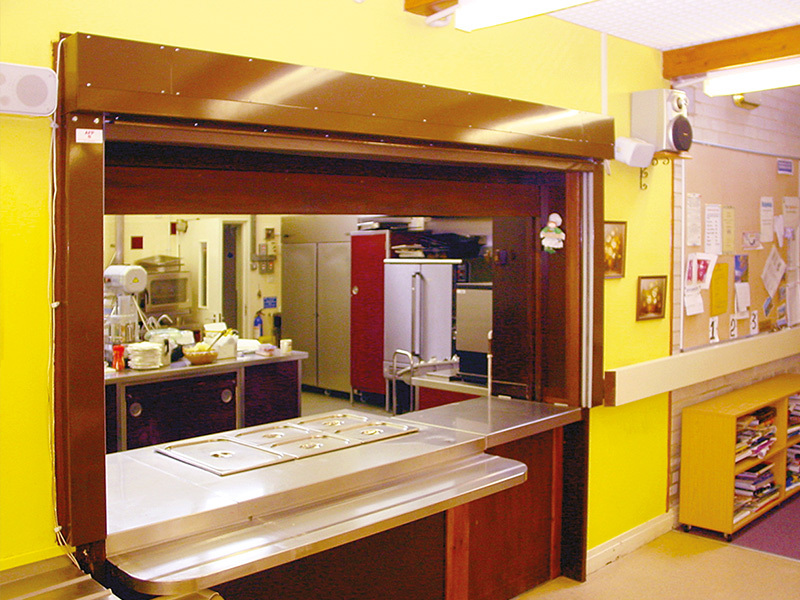 Hot meals and drinks are prepared and served regularly from the main kitchen facility. Bournemouth Borough Council contacted Advanced Fire Prevention Ltd of Poole in Dorset (Phone 01202 660222) to solve the problem of protecting the potential fire hazard between the kitchen area and the main day room. AFP recommended the use of Envirograf® Product 90 motorised surface-mounted fire and smoke drop curtain measuring 2355mm wide x 1145mm high for the main serving area and a smaller Envirograf® manually-operated recessed fire and smoke drop curtain 602mm wide x 1125mm high to protect another access area of the kitchen. In a fire, the curtains will descend and act as a robust barrier to the spread of flames, thus minimising the extent of the damage as well as allowing much needed time for the occupants to escape. If you have recently used our ENVIROGRAF® passive fire products, why not share your story with us, so we can publish it here. We’ll be happy to visit you and write about you and your project ( free publicity ). Contact us now!